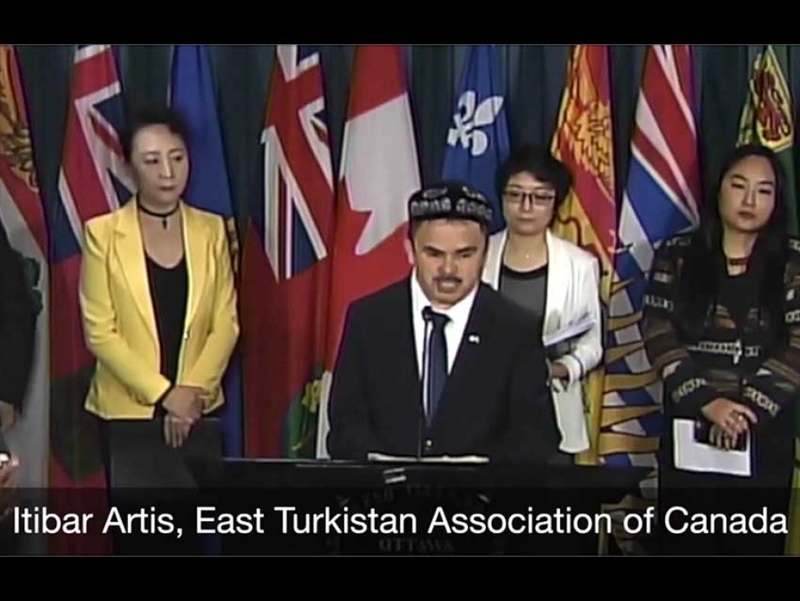 Members of the Uyghur community in Canada are speaking out and organizing to raise awareness about the plight of their families in East Turkestan, an autonomous region in China. The Uyghur are a Turkic people in contrast to the Han people, the majority ethnic group in China. The majority of Uyghurs identify as Muslim. Uyghur Canadians in Ontario have been speaking at well-attended events organized by their local mosques in cities like London (Windsor Islamic Association), St. Catharines (Masjid An Noor), and Toronto (Noor Cultural Centre), to inform their fellow Muslims about what is happening to their relatives in China. 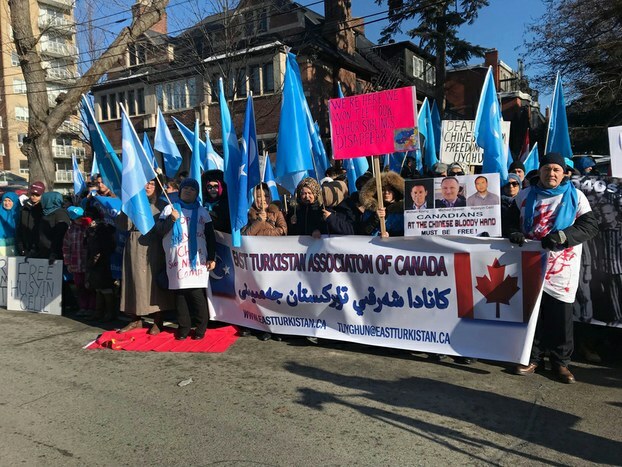 Recently, Uyghur Canadians have established the East Turkistan Association of Canada. The association was formed by merging the Uyghur Canadian Association and the East Turkistan Cultural Centre in October 2018. They are organizing a demonstration in front of the Chinese Consultate in Toronto on January 4th after which they will be marching to Queen’s Park. Itibar Artis, a member of the East Turkistan Association of Canada, spoke at a Parliament Press Conference on December 10th, organized by One Free World International, an organization founded by Egyptian Canadian Majed El Shafie aimed at addressing lack of religious freedom for religious minorities, particularly in the Middle East. Artis spoke as part of a delegation made up of other Chinese religious and ethnic groups who have been witnessing an escalation in attacks on their freedoms such as Chinese Christians, Tibetans, and members of Falun Gong. “I am an Uyghur. My family immigrated to Canada in 1999, when I was three. Growing up, I didn’t really know about the complexities in East Turkestan and the lives my parents had there. And when I did learn about it, we didn’t really talk about it. There was a general consensus between Uyghurs that staying quiet and not rocking the boat would be the best way to live. To make noise might lead to a crackdown on our families back home. 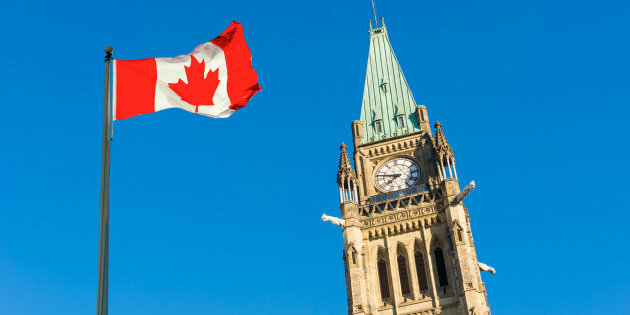 Uyghur Canadians like Ilchi hope that the Canadian government will take serious action on this issue and show a committment to freedom of religious and cultural expression, even if this means upsetting a major world power. To learn more about the East Turkistan Association of Canada, click here. To learn more about the demonstration they are organizing in Toronto on January 4th, click here.